And what’s all this buzz about analog synthesizers recently? If you are new to the world of oscillators, filters, envelope generators, and LFO’s (low frequency oscillators), you’ve likely seen an analog synthesizer somewhere. But analog synthesizers aren’t new at all, but something from the distant past. Synthesizers have been around for many years. 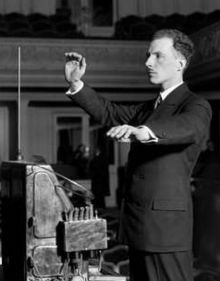 When first researching their history, I was amazed at what is actually considered a “synthesizer.” Right around the turn of the twentieth century, a massive electronic instrument called the Tellharmonium was invented by Thaddeus Cahill, followed several years later by the Theremin, created by Russian inventor Leon Theremin. 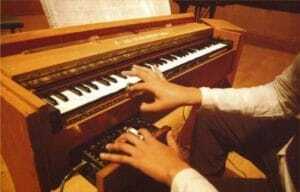 Shortly afterwards, a French inventor by the name of Maurice Martenot created the Ondes Martenot. These were indeed unique instruments that produced new (and often strange) sounds for the time. While various other electronic instruments were invented over the years, it wasn’t until the the early 1960’s when a man by the name of Robert Moog began developing what is actually considered a synthesizer by most musicians today. The name“Moog” was often considered synonymous with “synthesizer” in the 1970’s. 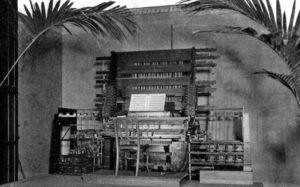 Mr. Moog’s early inventions were huge, modular synthesizers that took hours to set up and were confusing for the average musician to operate. Moog eventually decided to create something smaller, less expensive, and easier to use. 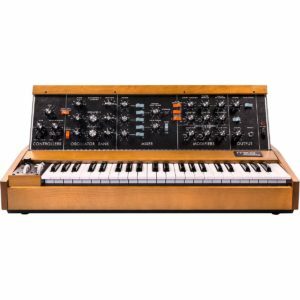 In 1970, Bob Moog proudly released the Minimoog Model D.
But let’s skip the history lesson for now. 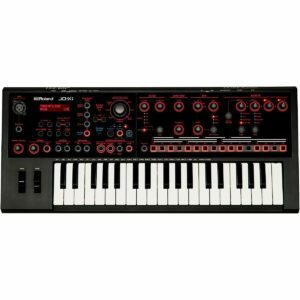 As mentioned earlier in this blog, there are plenty of different synthesizers to choose from… why not discuss a few affordable ones you can buy today? 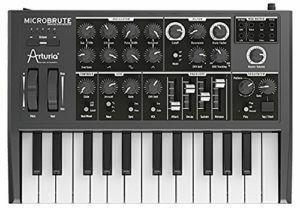 First up is the Arturia Microbrute. A great way to jump into creating sounds and making music, this voltage controlled analog synthesizer offers some great features and an extremely low price. Next, offering many more features and four-voice polyphony, take a look at Korg’s Minilogue. 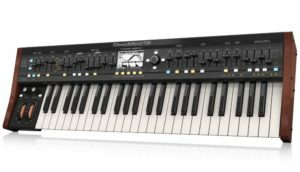 With 100 preset sounds right out of the box, this keyboard is definitely the “biggest bang for the buck” when it comes to analog synthesizers. With eight voice modes, step sequencing, and built-in effects, the Minilogue is a sure winner. 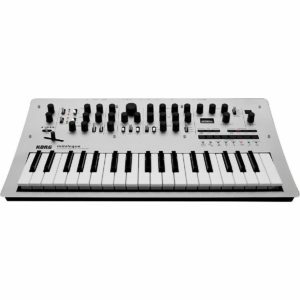 Another contender in this price range is the Roland JD-Xi, an analog/digital hybrid synthesizer. This keyboard offers a variety of unique sounds and includes built-in effects, a four-track pattern sequencer, plus internal drum kits to add rhythms to your songs. If you’re serious with your music, you should also consider the iconic Behringer Deepmind 12. This 12-voice behemoth is loaded with value. It boasts of two digitally controlled oscillators and two LFOs per voice, a noise generator, three envelopes, unison mode with a detune fader, a 32-step sequencer, an extensive 8-bus modulation matrix, four digital FX engines, built-in wifi, and more. Get Started Learning Piano Overnight! Don't Procrastinate Anymore! Download our free guide to get started learning piano today.